Bob Mould, originally uploaded by alister. 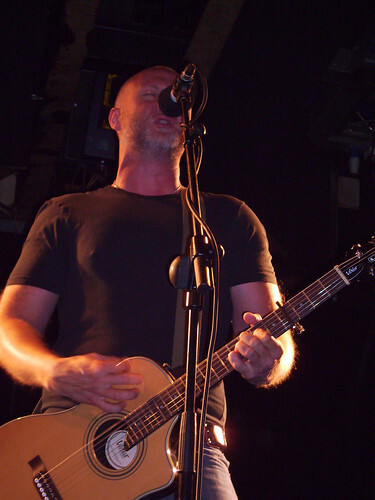 Bob Mould live in Edinburgh, Liquid Rooms Saturday 24th June. This was just Bob on his own with an acoustic guitar and later an electric one. We got songs from across his career including Husker Du, Sugar and solo eras. Fantastic versions of Wishing Well, If I Can't Change Your Mind and a brilliant finale of Celebrated Summer, Chartered Trips and Makes No Sense at All. And he even met his public afterwards. A legend. 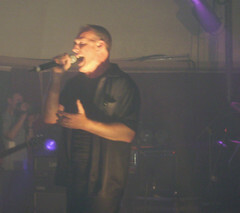 A few more of my pics of the gig on Flickr. You know him? I'm a Minneapolis guy. He is a homie. Well I'm a fan of Bob's stuff going back to Husker Du days, was nice to meet him after the gig and shake his hand.